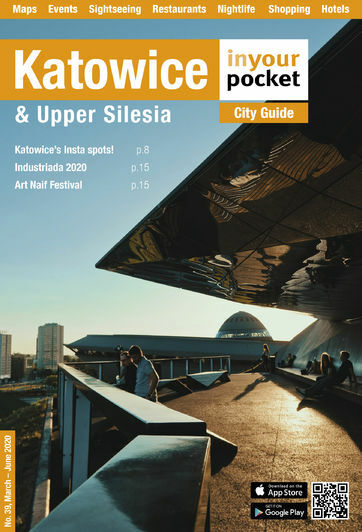 When one thinks of contemporary classical music, Katowice is hardly the first city that comes to mind. Regardless, this was indeed the lifelong residence and in some ways the muse of one of the most successful classical composers of the 20th century. Henryk Mikołaj Górecki was born on December 6th, 1933 in the small village of Czernica, 45km southwest of Katowice. His mother was a piano player but she died when he was only two. He followed in his mother’s footsteps and immediately took up music, albeit against his father’s wishes. At the age of 10 he officially began his musical education studying violin with a local amateur musician. His formative musical education and folk music forms had a profound effect on his later works. Górecki arrived in Katowice in 1955 and he studied at the State Higher Academy of Music from 1955-1960. It was here that Górecki’s strengths as a composer really started to show. Almost immediately after the premiere of one of his first compositions in 1958 he was heralded by the Polish music press as a leader of the new wave of avant garde composers. By 1959 he had written his first symphony which well received in the west as well as Poland. Throughout most of the 1960’s he continued to compose in the modernist style following in the footsteps of such composers as Anton Webern and Pierre Boulez. He made the inevitable move to Paris to further his studies and broaden his compositional palette. Górecki was as much known for his stubborn sensibilities, blunt sense of humour and anachronistic personality as he was for his incredible talent. In 1968, at the height of his popularity, he decided to take a professorship at the Academy of Music back in Katowice. He would eventually become provost of the Academy. He was notoriously tough on his students saying, ”If you can live without music for two or three days, then don't write – it might be better to spend time with a girl or with a beer." Well said, Henryk. Throughout the 70’s and 80’s Górecki continued to compose and steadily gained notoriety. When the Berlin Wall came down in 1989, Górecki’s music immediately gained a larger audience and his works were performed by the London Sinfonietta and in 1990 he began a close partnership with the Kronos Quartet that would continue until the end of his life. Górecki’s greatest commercial and critical success came in 1992 when a recording of his Third Symphony - Symphony of Sorrowful Songs (dedicated to the memory of those lost during the Holocaust) sold over a million copies! Almost overnight it made Górecki one of the most successful classical composers of all time. He would continue to compose until his death in 2010. He left a towering legacy and remained a staunch Polish and Silesian patriot until the end of his days.